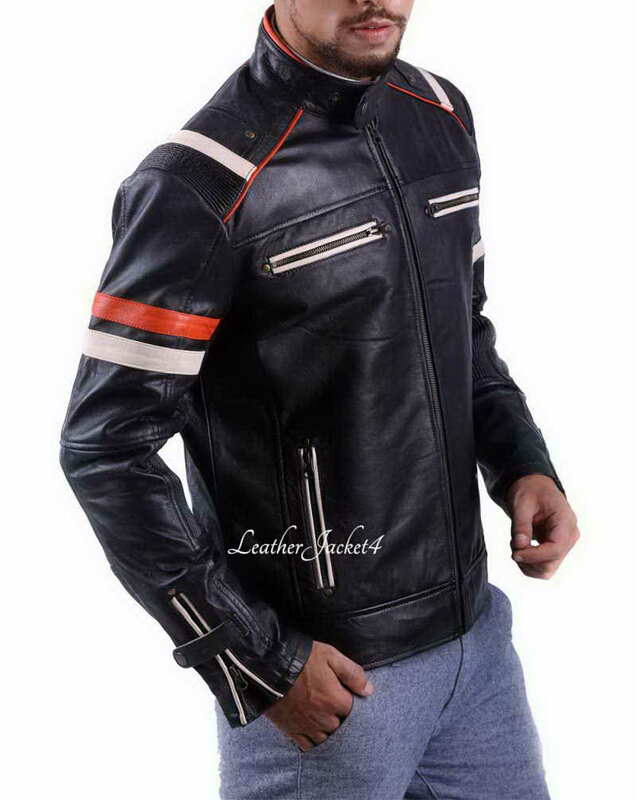 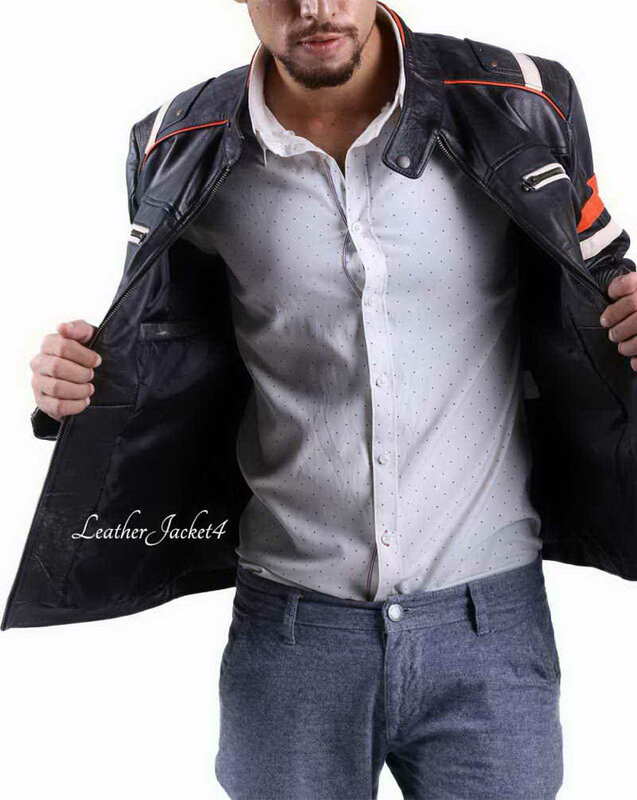 Try our new addition in men’s biker jacket is just perfect for your next ride. 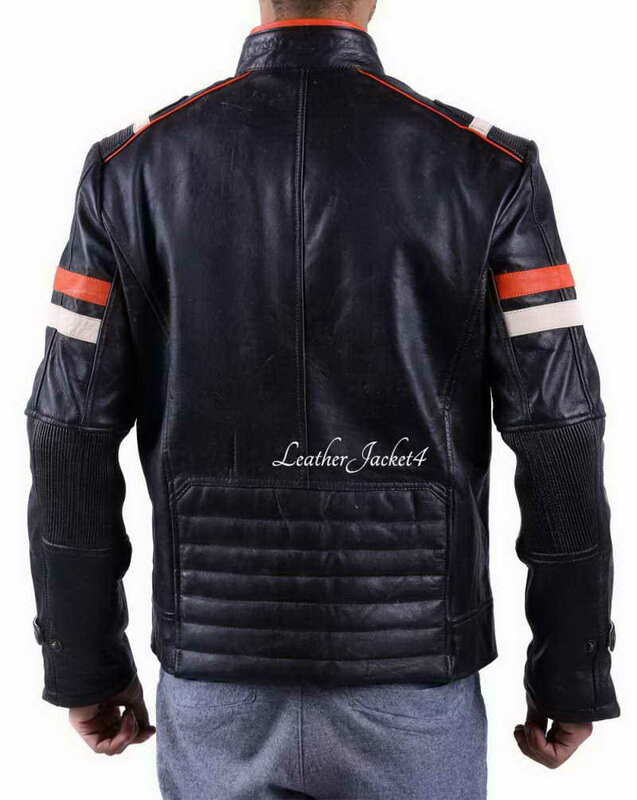 The classic café racer retro black motorcycle jacket has something to grace your casual appearance every time you embark on your heavy motorbikes. 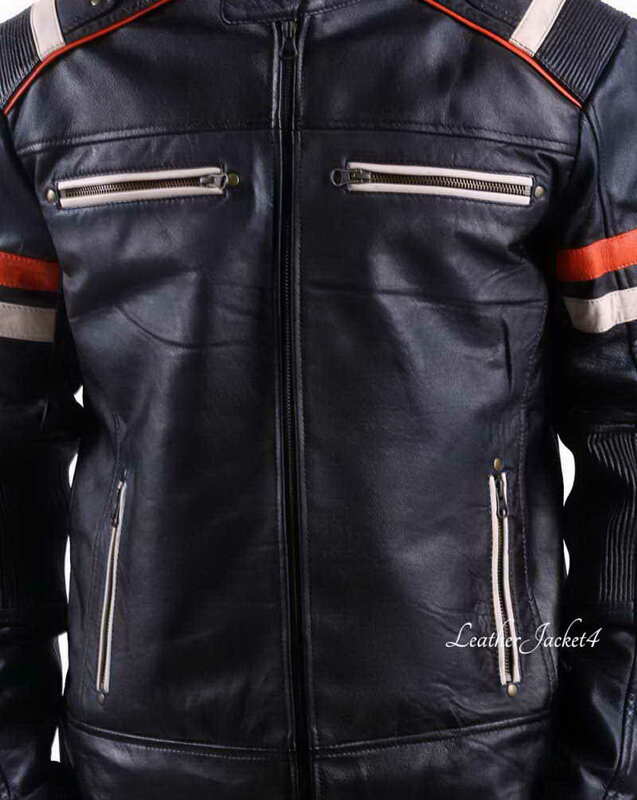 Made with real lamb leather, this jacket is featured stunning red panels on shoulders and red colored strips over sleeves and collars. 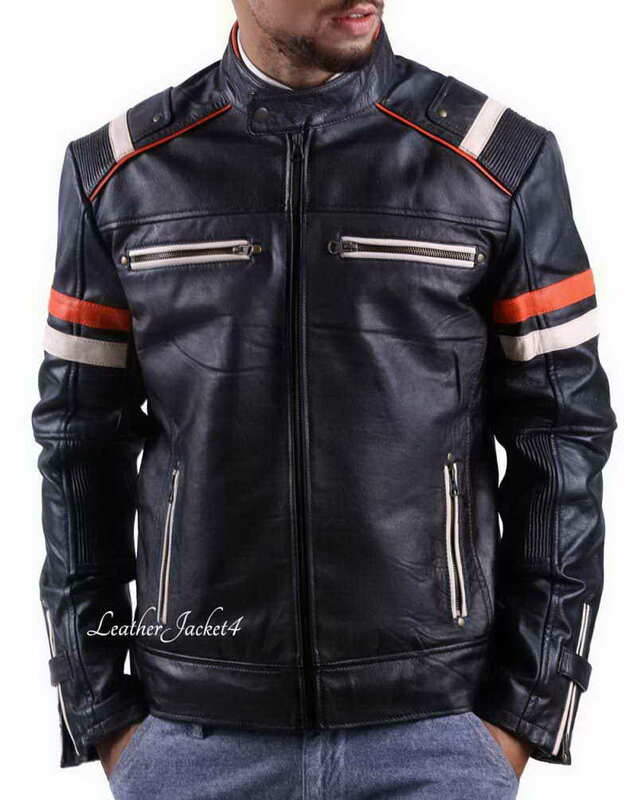 The front fascia of the jacket is appreciated with simple yet heavy-duty YKK zipper closure along with two chest zipper pockets. 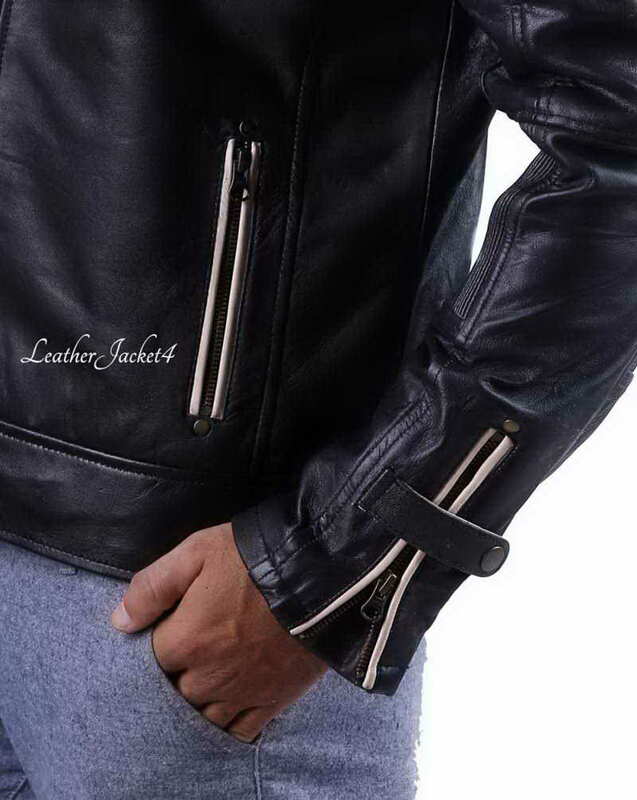 Stand up collars and regular round cuffs make it a perfect biker jacket. 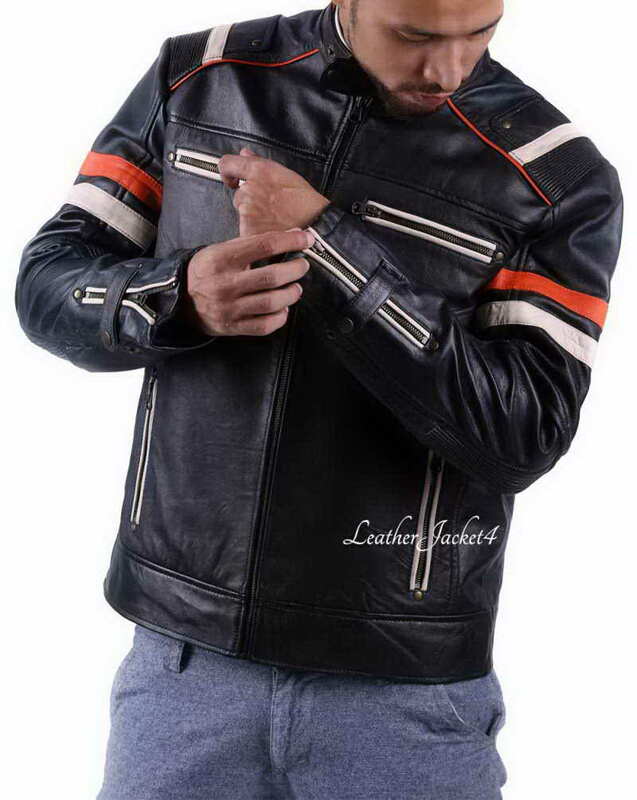 With a fully lined interior with viscose fabric, therefore, it feels extraordinary slippery while sweeping it up to your shoulders. 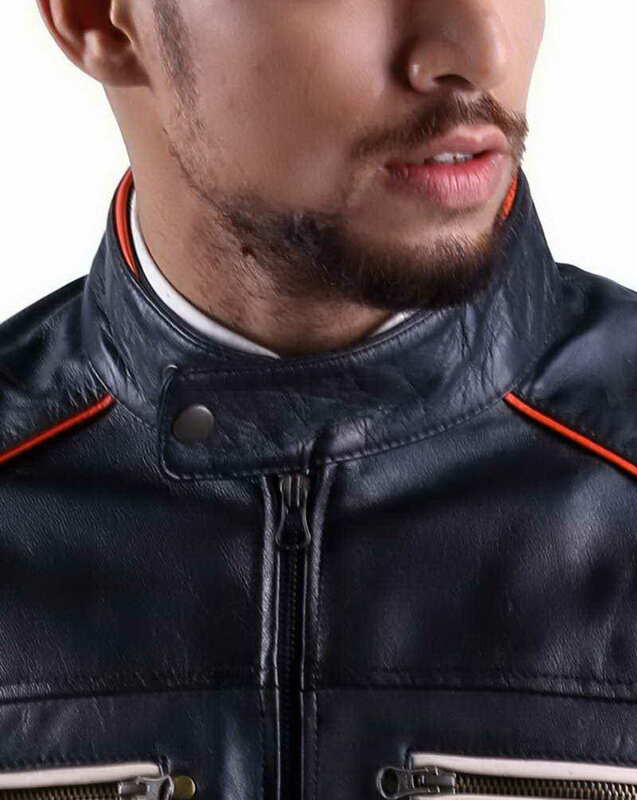 Collars are nicely attached with metallic tab button to isolate bikers from freezing winds of winter.